Jade-Sky is a direct “channeller” , a Psychic Medium who connects with departed loved ones and Spirit Guides. Jade provides in person, phone readings and email readings, there are several different types of readings available psychic predictive reading or a mediumship connection with passed loved ones reading. It is up to you to choose which type of reading you would prefer. This is a general reading which involves gaining information or clarity about current situations in your life or questions which you may have about the future. You may like to ask about people in your life who are living, career, health, finances or life path. This is not a mediumship reading to specifically connect with people who have passed over. You will be asked what areas of your life you would like Jade to look at or what specific questions you have. Its important that you have a short clear list of important questions you would like to ask, because sometimes people get nervous and forget their questions once they are in a reading. You may also like to bring photos of people or pets that are living that you would like to ask about. Please try to bring clear photos without large dark sunglasses or large hats, because they eyes have to be able to be seen. This reading with Jade usually lasts for approximately 30 to 45 minutes. Mediumship readings are for people who want to know that their passed loved ones are still with them, very specific information is given that is personal to you and the person who has passed. Please note that due to free will it is entirely up to spirit who comes through from the spirit world. Jade can not guarantee that the exact person in spirit you want to come through will. You are welcome to bring any photos of passed loved ones, any items that may have belonged to them or that they have been in contact with. During a reading with Jade she will ask you to not give her any names or details, you can confirm the information after she has given it to you but its best to relax listen with an open heart and to just let spirit guide you to the inner truth and the information you need to know right now. When the reading begins Jade will read you by listening to your voice and by picking up on your energy.Through channelling Jade will pick up names, dates, and specific events so that you know that your passed loved ones or Spirit Guides/Angels are with you, and it is not just a general guess the details are very personal and significant just for you. Jade will go over each photo with you and if there are any questions left unanswered she will go over these at the end of the reading time permitting. At the end of the reading you will be asked to go over your list of questions to make sure that they have been answered,( most of the time all of the questions would of been already answered by this stage). Photograph’s are a great way for Jade to connect with you. At the time of booking you will be advised that you can bring photos with you to the reading. Jade is very passionate about past lives. If you would like to find out more about your past lives, Jade will connect with you and we go through and look at some of your past life talents and connections. Please note that Jade does not hypnotise you, you are very much aware what is going on and are able to connect and disconnect when needed. If you would like to learn how to connect with your spirit guides and work with them on a deeper level, you can learn how to do this during a session with Jade. This one on one lesson on the phone or in person can help you to learn the signs and ways your guides are communicating with you. Jade offers readings which focus primarily on your business questions, this type of reading covers staffing, future plans for the business and any other information that is needed to help the business succeed. Phone readings are by appointment only. 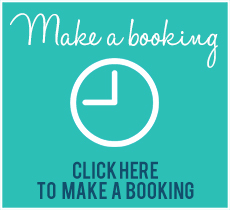 Once your appointment time has been confirmed and booked Jade calls you at your appointment time on a number that you provide at the time of the booking. The price of the reading includes the phone call to anywhere in Australia and a mp3 recording of the reading sent to you via email . If you are booking a phone reading you will be asked to email up to 4 or 5 clear photos of people or pets(living orthat you would like to know about. Please also email a photo of yourself up close without any glasses on, because it is the eyes that are the most important thing to see. Except for your own photo make sure none of the photos have any names or dates on them so Jade can give you as much information as she can. Email readings are a great way to have a connection with someone without them having to wait for an in person or phone reading. With an email reading you can email up to 8 questions through to Jade and also email any photos of people that you would like to ask about. The reading will be sent to you within two weeks of the date of confirmation of booking and payment. The price is aud$100.00. An animal spirit guide is an animal helper in spirit who will be your friend and help to guide you. A totem animal does not only have to be an animal from the land, it can be from the sea, the sky or even a reptile or insect. Your animal spirit guide may come to you regularly as animal visitor in your dreams. It may take you through a forest or jungle or get you to fly with it through the sky on a wonderful journey. When you work with and know your animal spirit guide they will teach you lessons and give you strength. Each animal guide has a different strength or special skill that they can teach you. For example a bear would teach you strength and knowledge and the dog teaches how to give and receive love. Some of your animal guides will leave once you have learnt your lessons from them; others will stay with you your whole life. You are never alone. Each animal has its own special talent or lesson it will teach you. Would you like to find out who your animal spirit guide is? Would you like your own personal animal spirit guide drawing and message channelled specifically for you? Jade-Sky is now offering channelled individual animal spirit guide drawings and messages. Each drawing and message is unique and is channelled to depict what animal spirit guide you are working with at the moment or what is around you. Each drawing is A5 size and is hand drawn in black and white lead pencil, this drawing is emailed to you with your own unique spirit message.